Carver Gayton retired as the Executive Director of the Northwest African American Museum in July of 2008. In that capacity, beginning in 2005, he had the lead responsibility for raising over $20 million for the renovation of the old Coleman School in Seattle which houses the Museum as well as 36 low income housing units. The Museum opened in March of 2008 after nearly 30 years of failed attempts to establish an African American Museum at the Coleman site. From 2001 to February 2005 he worked as a human resources consultant and taught at the Evans School of Public Affairs, University of Washington. In 1997 he was appointed by Governor Gary Locke as the Commissioner of the Washington State Employment Security Department and served in that capacity until 2001.He had responsibility for managing unemployment insurance benefits, labor market information and Federal training programs for the state. He also managed 2500 employees, a half billion dollar biennial budget as well as a $ 1.6 billion unemployment insurance trust fund. Previously he was Corporate Director of College and University Relations for the Boeing Company. In that role he was responsible for managing policy development, research, recruitment and contributions programs and activities relevant to Boeing’s interface with colleges and universities throughout the nation. He also served as Director of Training and Educational Relations at Boeing. Dr. Gayton’s career has involved him in various roles within education, government and private sectors. 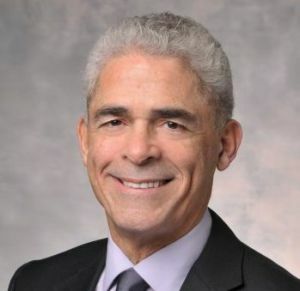 Prior to coming to Boeing, he was an Assistant Professor of Public Administration at Florida State University in Tallahassee, an Instructor in Political Science as well as Director of Affirmative Action and Staff Training at the University of Washington. He also was a Special Agent for the Federal Bureau of Investigation, and a Teacher of History and English at his alma mater, Garfield High School in Seattle. Carver has served on a wide variety of national, state and local boards over the years, a few of which include: University of Washington Alumni Association where he served as president; the National Advisory Panel, National Center for Postsecondary Governance and Finance; KCTS-Channel 9 Board of Trustees; Seattle School District, Board of Directors; Chairman, Independent Colleges of Washington Board of Trustees; Chairman, The National Center for Occupational Research and Development Board of Directors; President, Evergreen State College Board of Trustees; Board of Trustees, Art Institute of Seattle; Chair, Seattle School District Committee on Fiscal Integrity; President , Seattle Community Colleges District Board of Trustees; Advisory Committee member, Western Governors University and the National Advisory Committee, Northwest African American Museum. Carver is the recipient of numerous awards and recognitions, some of which include: Who’s Who Among Black Americans; selection as a national History Maker; Who’s Who in American Education; University of Washington Athletic Department Husky Hall of Fame; University of Washington Football Legend; University of Washington Alumni Association Distinguished Service Award; The Boeing Company, because of education programs lead by Carver, was the 1995 recipient of the Fortune 500 Employment Management Association’s Pericles Service Award, presented to a company each year for development of the most innovative and effective human resource program in the nation. As a result of Carver’s leadership in this area, the National Alliance of Business (NAB) also recognized The Boeing Company in 1997 as having the best “school-to-work” program in the nation. In May of 2007, Carver received an honorary Doctor of Fine Arts Degree from the Cornish College of the Arts for “…his outstanding commitment and contribution to the civic and cultural life of the city of Seattle.” In June of 2008 Carver was named by the University of Washington as one of its “ ‘Wondrous One Hundred’ living Legends,” which recognized one hundred “—living alumni who have made or are making their mark outside the University’s bounds…” In the summer of 2009 Garfield High School inducted Carver into its Hall of Fame as a “Golden Graduate”. All of Carver’s formal degrees are from the University of Washington: Ph.D. Political Science; Master of Public Administration and Bachelor of Arts in History. He was born and raised in Seattle and is married with four children.